A 45 year-old businessman, Samuel Ansah, has been granted bail in the sum of 1,300,000 Ghana cedis, with two sureties, for issuing a dud cheque. He pleaded not guilty and would re-appear before court on Wednesday March 7. 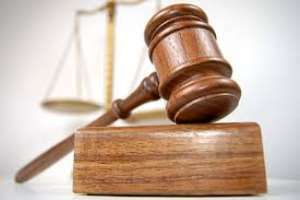 Prosecuting, Police Detective Inspector Clement Amoah, told a Tarkwa Circuit court, presided over by Mr. Emmanuel Bart-Plange Brew that the complainant, Stephen Dankwa-Smith, who is a money lender, resides at Tarkwa with the accused. According to Detective Amoah, in the year 2014, the accused approached the complainant for financial assistance with interest. The prosecution said as at July, 2017, accused was owning the complainant an amount of 1,281,000 Ghana cedis. He told the court that the accused then issued a Stanbic bank cheque for the said amount to the complainant to withdraw on February 5, 2018. When the complainant presented the cheque, Detective Amoah said the bank dishonoured it with the explanation that the accused had no adequate funds in his account. He said the complainant lodged a complaint with the police and accused was arrested and after investigation charged with the offense.